Memories of Reba A. [Cookie] Hillanbrand Archie[1954-2004] & Thomas J. Hillanbrand[1931-1978]. Reba A. [Hillanbrand] Archie [1954-2004] was the only child of Thomas James Hillanbrand [1931-1978] and mother living. Reba was the only granddaughter of Jesse James Hollimon and Ida Mae [Reed] Hollimon . Reba was also the granddaughter of Francis Joseph Hillanbrand and Helen M. [McLaughlin] Hillanbrand. Thomas James "Turk " Hillanbrand [1931-1978] was the son of Francis Joseph Hillanbrand [1900-1947] and Helen "Bridget" McLaughlin Hillanbrand[1902-1942] . Thomas James Hillanbrand was the son-in-law of Jesse J. Hollimon . Thomas James Hillanbrand was the father of Reba A. [Hillanbrand] Archie [1954-2004] and mother living. This is the story of the Francis Joseph Hillanbrand Family of Philadelphia , Pa.
" The Story of Turk and his Family ". In the year of 1931 times were very hard and people had to work together to help each other survive. The depression caused great hardships on all families . Turk was born in 1931 into a already growing family . His father and mother were of the Catholic faith . They were very religious and practiced their faith . They felt each child they had was a special gift from God. All the children worked together to help their mother and father and eachother . 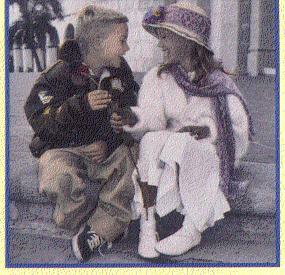 They were not rich in wordly goods but rich in love for eachother . Turk's father was a policeman for the city of brotherly love [Philidelphia, Pa] . His mother took charge of the household and raising the children .Turk's father's name was Francis and his mother's name was Bridget . Turk's mother went to early mass eachday to pray and ask God for his guidance in raising her children . In the early years there were some times of discord between the two families of Francis and Bridget over the large family they were having . Bridget was a very religious and devout person who felt the number of children she had was in the hands of God and not a decision she should make . As Turk grew up he tried to help his mother all he could and developed a very special bond with his mother . Turk's father was a very good and gentle man . As with all families , things do not run smoothly all the time . There are always problems and trials to be over come . Turk's mother Bridget was a small woman in statue . She trained her children from the oldest to the younger ones to take care of eachother . That lesson is one they never forgot . Bridget thru her faith and trust raised her children to always love the Lord and go to church . She wanted them to know how important that was and would be to them all their lives . I never got to meet Turk's parents but I heard many things about them all the years I was apart of this great family. 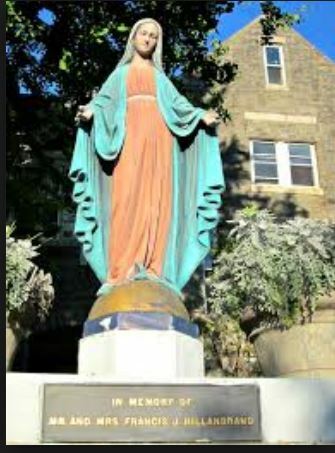 Turk's father placed a Blessed Mother Statue on the grounds of the St. Bridget's Catholic Church , East Fall , Philadelphia Co. Pa. The statue was placed there in memory of the great and wonderful woman she was by her husband , Francis Joseph Hillanbrand . was pregnant again , began having serious problems with her pregnancy . She had started to bleed and was rushed to the hospital . Turk was very upset and wanted so much to go with her . He was not able to go see her in hospital because of his young age . That was to be the last time he saw her. Bridget , his mother , had a beautiful baby boy who was named Raymond. The birth had taken all of his mother's strenght and she bleed to death after giving birth . Turk took her death very hard and because he never got to tell her " Good Bye " he became very sad and depressed . Turk became very angry and withdrawn into his self. He loved his mother so much and had been so close to her it was hard for him to realize she was really gone. The family was in great turmoil and great indecision about what could be done to care for all the children . The two great families pulled together and a place was found for all the smaller ones and the new baby Raymond . 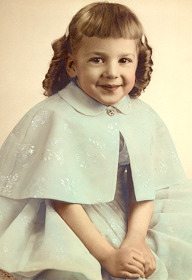 Turk was one of the sixteen children of Francis and Bridget Hillanbrand . The five oldest children remained with their father but a home was found for all the younger ones but three . Those three went to a Catholic Home . The families made sure those three were included in all the Holiday Celebrations . Tom was very sad that any of them were placed in the Catholic Home . Turk , a brother named William and baby Raymond went to live with their Aunt Deloris[Hillanbrand] Brecht and Robert Brecht . 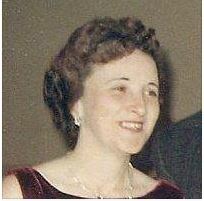 Aunt Deloris was a very sweet and gentle woman who already had three sons of her own to raise . She raised the boys to love God and to go Mass . Her husband Robert Brecht was a good and loving man who cared about the boys just the same as his own boys . The family stayed very close thru the years and always helped eachother . As Turk began to grow up he always had that deep hurt about the loss of his mother and not being able to tell her 'Good Bye " . Turk and his brother Charles joined the Army when the Korean War started and both were sent to Korea . Turk made it back home unharmed but his brother was lost on Pork Chop Hill in Korea . Charles Hillanbrand became one of America's MIA . Turk was very touched by the loss of his brother Charles . He felt very happy to be returning home to the USA but very sad that his brother Charles was not coming with him . Turk had worked himself up in rank to Sergeant and had signed up for another two year hitch when I first meet him . He was stationed in Ft. Smith , Ar. at Camp Chaffee , Army Base . Turk loved to roller skate and often was at the local skating rink on the week-ends. On one of those week-ends he decided to ask me to skate with him in a special dance . That was the beginning of our relationship . Memories , how they linger in our minds . Time and place may change as the years go by but those precious memories are always with us. We always have a picture in our mind of our past . There will always be those memories of the special times we shared with our families . When I first meet Turk , his father had passed away a few years before . Turk told me all about his family and the trials and hardships they had faced over the years . I was an only child and could not even imagine what it was like to be apart of such a large family like his was . I married Turk and moved up North to live with my new husband . Turk had almost finished his service time when I meet him . I was very excited to be going up North and meeting all of his family . The first family members I meet were Aunt Deloris [Hillanbrand] Brecht and her husband Uncle Robert Brecht. They were very good to me and I felt at home from the beginning . I soon found the rest of the family were just as special . It felt so good to be apart of a big family . I could see how close they all were and how they all pulled together to help one another. I found real peace and a true joy . Turk took me to the Catholic Church and I found I felt at home there as well . Finding the Catholic faith was a blessing to me . It seemed like I had come home from a long journey in the wilderness . I felt so blessed to be just a small part of this beautiful family . The years just seemed to fly by and before I realized it I had been apart of that family for well over 20 years . I had always loved to listen to them talk about when they were young and all the crazy things they had done. As the years passed I lost Turk and the pain of his passing was almost more than I could bear . I felt very depressed and had lost all interest in living. I know the loss of a loved one is very painful for us all but I seemed to have just given up on life and all it's problems . One night as I was sitting on the side of the bed , saying my prayers , I felt a soft touch on my shoulder and a kiss on my cheek . I knew this was Turk's way of letting me know he was still near and watching over me . It was a very enduring moment for me . I knew he was trying to let me know there is something after the death of our bodies . I know it's our spirit that lives on. He was telling me I must go on with my life and have faith in God. The years have passed and there have been many changes in my life since that day so many years ago . I will always remember that special day when I felt the touch from beyond . I will always remember the beautiful family he was apart of and all the love that keep them together . I feel truly blessed to have been apart of such a loving family . 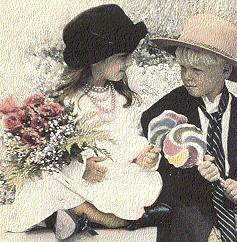 Memories are one gift from God that no one can ever take away . Our lives are made up of all the things we do and all the experiences we have gone thru during our lives . We can not stop the ball from rolling on., just like the hour glass of our lives . There is a time when we can just sit and reflect on the things of the past and how they have changed our lives . I know the years I was apart of this beautiful family will live in my memory for all time . St Bridget' Catholic Church , Phila. Pa.
Helen M. [McLaughlin] Hillanbrand was born 13 April 1902 in Phila. 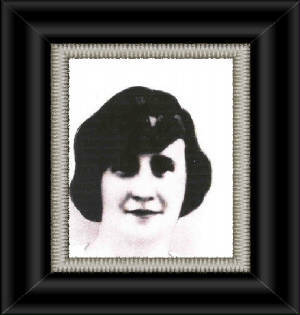 Pa. and died 21 June 1942 in Phila, Pa. Helen M. married Francis Joseph Hillanbrand 31 December 1921 in Elkton , Md. Helen M. was the daughter of James McLaughlin and Bridget [McNutly] McLaughlin . 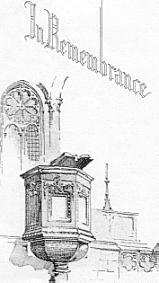 Helen M. and Francis Joseph are buried in Holy Sepulchre , Cemetery , Phila. 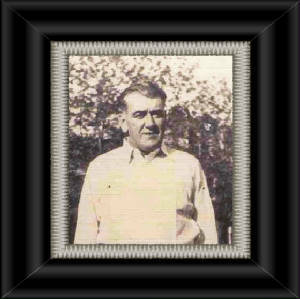 Pa.
Francis Joseph Hillanbrand [1900-1947] was the son of Joseph Peter Hillanbrand and Ellen I. [Francis] Hillanbrand . Francis Joseph meet and married Helen M. McLaughlin [1902-1942] on December 31 1921 in Elkton , Md. They are both buried in Holy Sepulchre Cemetery in Philadelphia , Pa.
" The Children of Francis Joseph and Helen M. [McLaughlin] Hillanbrand ". 1. Dorthory [Hillanbrand] McAllister , born 01 November 1922 and died 12 Feburary 1975 in Philadelphia , Pa. Dorthory was married to Buck McAllister . They are both buried in Holy Sepulchre Cemetery in Philadelphia , Pa. There were no children of this marriage . 2. Joseph P. Hillanbrand , born 22 May 1924 in Phila , Pa . and died 10 November 1993 . 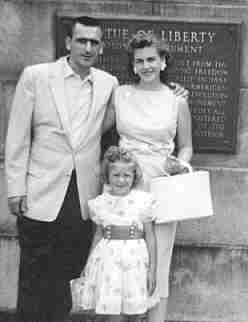 Joseph P. married Nancy [Frith] Hillanbrand , born 02 June 1930 and died 22 Feb. 2002. Joseph P and Nancy have family living. 3. Helen [Hillanbrand] Churney , born 02 June 1926 and died 04 July 1966 in Philadelphia . 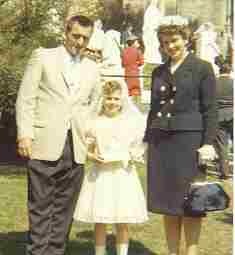 She is buried in Holy Sepulchre Cemetery in Philadelphia , Pa. Helen 's son John Churney is buried with his mother . John was born 23 November 1954 and died Feb 1972 . Helen has family living. 4. 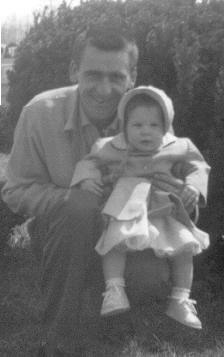 James F. Hillanbrand , born 29 September 1927 and died 23 August 1994 in Philadelphia , Pa. James has family living. 5. Gloria M. [Hillanbrand] O'Brien , born 05 March 1929 and died 22 March 2002 . 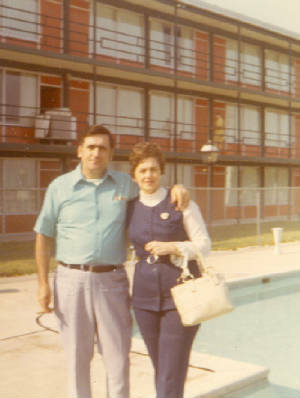 Gloria meet and married Michael J. O'Brien , deceased . 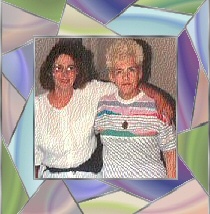 Gloria M.and Michael J. O'Brien lost a son , Michael J. O'Brien Jr., born 20 June 1945 died 14 July 1985 . They have family living . 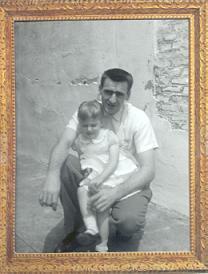 6.Francis Hillanbrand , born about 1931 and died Nov 29 2013 . Francis meet and married Lois L. [Marsh ] Hillanbrand . born 11 Feb 1934 and died Nov . 13 2013 . They have three children deceased , Helen E. Hillanbrand , born 1952 and died April 6 , 2010 , Lois L. Hillanbrand , born ukn , died , Oct 24, 2012 and Edward Hillanbrand born 1961 and died Nov 8 , 2013. They also have children living. 7. 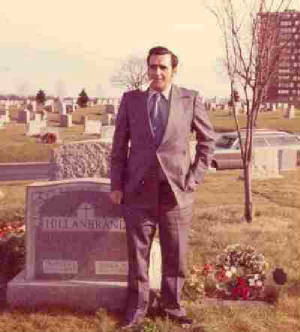 Thomas James Hillanbrand , born 18 July 1931and died 05 May 1978 in Philadelphia , Pa . Thomas J. is buried in Holy Sepulchre Cemetery , Phila . Pa. Thomas James Hillanbrand's daughter Reba A. [Hillanbrand] Archie was born 01 August 1954 and died 16 May 2004. She is also buried in Holy Sepulchre Cemetery , Phila . Pa. Thomas James has family living. 8. William B. Hillanbrand , born 08 August 1932 and died 25 December 2000 . William B. has family living. 9.. John A. " Jack" Hillanbrand , born 19 September 1933 and died 15 December 1997 in Philadelphia , Pa. John A, meet and married Elgie Roberta [Morey] Hillanbrand born abt 1936 and died 27 November 2004 in Philadelphia , Pa. Elgie is the daughter of George Howard Morey and Varena Madelyn [ Severe] Morey . John A. has family living . 10. Charles R. Hillanbrand , born 12 September 1934 and died 09 July 1953 in Korea . Charles was never married . 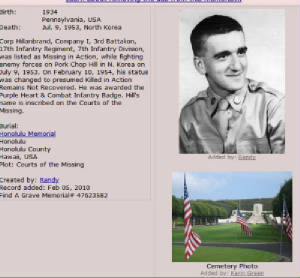 He was lost on Pork Chop Hill in Korea . He is a MIA . 11.Elizabeth " Betty" [Hillanbrand] Lamb , born 05 March 1935 and died 25 September 1999 . Betty meet and married George Lamb , deceased . Elizabeth has family living. 12. Vincent R. Hillanbrand , born 15 July 1939 and died 28 Jan 2011 in Philadelphia . 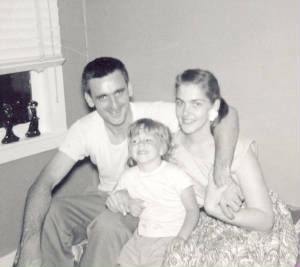 Husband of the late Carol M.[ Devine] Hillanbrand and Infant son Thomas Hillanbrand . Survived by living sons and daughters . Vincient survived by 9 grandchildtren and one great grand child . Vincent is survived by one brother and one sister living . Funeral Service at Rox. Presbyterian Church in Philadelphia . Interment in Calvary Cemetry in Philadelphia. survived by one sister . 14. Michael J. Hillanbrand , born 12 August 1936 and died 14 August 2001 . Michael J. has family living. 16 , Raymond R. Hillanbrand , born 20 June 1942 and died 24 Jan 2000. Raymond R. and wife living lost a son , Michael R. Hillanbrand , born [ukn] died 17 March 1993 . Raymond F, has family living. The Poem " I'm Free " is dedicated in loving memory of all these beautiful souls who have crossed over into Heaven . I pray the Lord will bless them all and give them everlasting peace . Amen . Died on Pork Chop Hill in 1953 . Listed as a MIA. 38 years Anniversary .. So Missed Dear Heart. , Always in Our Hearts . This page is dedicated in loving memory of this great family of Francis Joseph Hillanbrand and Helen M. [McLaughlin] Hillanbrand and their children , grandchildren and greatgrandchildren . They are a special family that should never be forgotten . The information for this page comes from , personal knowledge , family history , family web site's and research . Rebecca ...Peace and Love . Thomas J. Hillanbrand Family . Wildwood Crest , N. J. abt .1960. Thomas James Hillanbrand[ 1931-1978],Re[ Private. 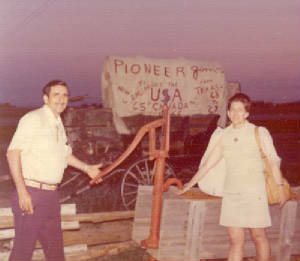 Trip to Amarillo , Texas in 1973 . 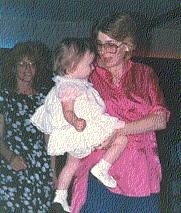 Reba A, Hillanbrand Archie [1954-2004]. We lost Cookie on May 16. 2004 . Thomas J Hillanbrand & Reba [Cookie]Hillanbrand .